We’re celebrating 14 years of business. 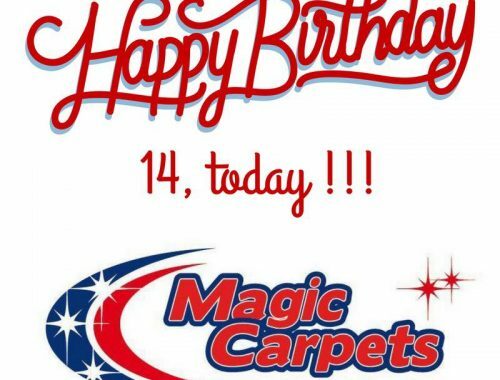 We’re celebrating 14 years in business…. 14 years since I walked out of a well paid, secure job but horrible working conditions, into the unknown, selling my dream car to fund the business. With the support of the wife and a belief we could offer the best cleaning services around, we invested in best possible equipment and solutions and professional training to suit. We have, like most businesses I’m sure, had scary times but NEVER once did I not believe we could be successful, We survived 3 recessions and have continued to grow as a business not just in our customer base but in the services we supply. I’m forever grateful that our hard work is rewarded by the best customers ever, the type that without hesitation recommend us to their family, friends and indeed on social media, so it does not go without saying our success is very much down to you wonderful people who continue to use us and recommend us, THANK YOU, SO MUCH. If you’ve not used us to clean for you before and want the best possible service and results we’d love to add you to our growing list of commercial and domestic list of customers, if you have (as many of you have) then once again thank you from the bottom of our hearts. So on our 14th birthday, I’m going to enjoy a nice rest day, reminisce a bit and spend time with the family. 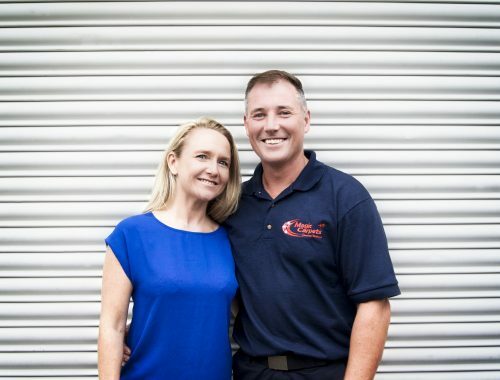 Owners Justin and Louise Chilton have established a reputable brand over the years. They have taken pride in their business and have built a loyal customer base. Their commitment to quality is second to none, they are constantly striving to achieve above and beyond the customer’s expectations. The company started as a Carpet Cleaning company, hence the name, but, over the last 14 years, they have broadened their offering to cover all aspects of cleaning for both commercial and domestic customers. Excellent customer service enables them to maintain and obtain new and existing clients and their work speaks for itself. Magic Carpets Cleaning Services receives fantastic reviews and feedback and the majority of their business is done through referral, you can’t ask for any better than that. If you want to check out the testimonials we would suggest looking on the website or popping across to their facebook site, you’ll be impressed. So, if you are thinking about outsourcing your cleaning and you’re looking for a reliable, trustworthy company that will deliver outstanding results call Magic Carpets Cleaning Services, they will be able to WOW you. We would advise you book in advance if you have an event or occassion coming up as they are in constant need and sometimes there’s a waiting list. Check your calendar and book today, they’re waiting for your call. Were you unfortunately flooded and need to claim on your insurance? So all the snow is starting to melt and if your unfortunate enough to get flooded and need to claim on your insurance here are a few things you should do…. 1. Insist on carpets and underlay being extracted of water before they lift them, ideally store them somewhere that will allow them to dry. 2. Dehumidifiers alone are NO good for flood restoration they merely catch atmospheric moisture, you need an air mover or a dryer, something that circulates air and raises that moisture in the air. You must have this or it will take days sometimes weeks, this time of the year, to dry. 3. Do not settle for being palmed off with using your heating to aid the drying process, yes it can help but insist on number point No.2. Why should you have to have your heating on 24/7? Often your insurance will not take the extra usage in to consideration….. and if you have not then you will in effect be paying for the damage to be repaired, in that case go to a tool hire place and hire an air mover or/and a dehumidifier it’ll likely be cheaper than your excess and your heating bill. 5. Prior to all this ASK what they plan to do and question why if they dispute any of the above…..it makes sense to do it the way I’ve outlined. Please feel free to share this anywhere you may think that’s affected or at risk of flooding and there or may need to use their insurance. Alternatively, if you are in the North East and we can advise contact us today. Magic Carpets Cleaning -Thank you to all our customers. We have been privileged over the years to have such fantastic customers. Our hard work and customer commitment have allowed us to build a strong and reputable brand within our community. Our business has been built on strong ethics of providing a high-quality service for the right price. We are very grateful to all of our domestic and commercial clients for their repeat business and referrals, it has allowed us to go from strength to strength, we have expanded significantly from where we started. Our core offering is still carpet cleaning, it’s what we do best, but over the 14 years of business, it has allowed for us to extend our services to other types of cleaning including upholstery, general cleaning services (commercial) ovens cleans, patios, drives, and pavements. We would like to say a huge big THANK YOU to all of our loyal customers for their fabulous support and kind words, their testimonials and reviews really help reinforce what we do when new customers use us for the first time. We are privileged to receive your feedback and reviews, it gives us great satisfaction. Our work ethos, values and principles remain strong across all of our services and in 2018 we are looking to expand further. When you think clean, think Magic Carpets Cleaning Services. We hope customers will continue to support us, we could not do it without you.